Posted by escapingalcatraztri in Uncategorized. Just a little off topic. SWIMBIKERUN.ph is holding a shoe drive this weekend at the Animo Tri Health and Wellness Fair. SBR was our media partner during our Run for JoB, so it would be great if you could support this event as well. You can view the details below and in this link. At the upcoming Animo Sprint Triathlon 2011, get ready to RACE, GIVE back, and INSPIRE! 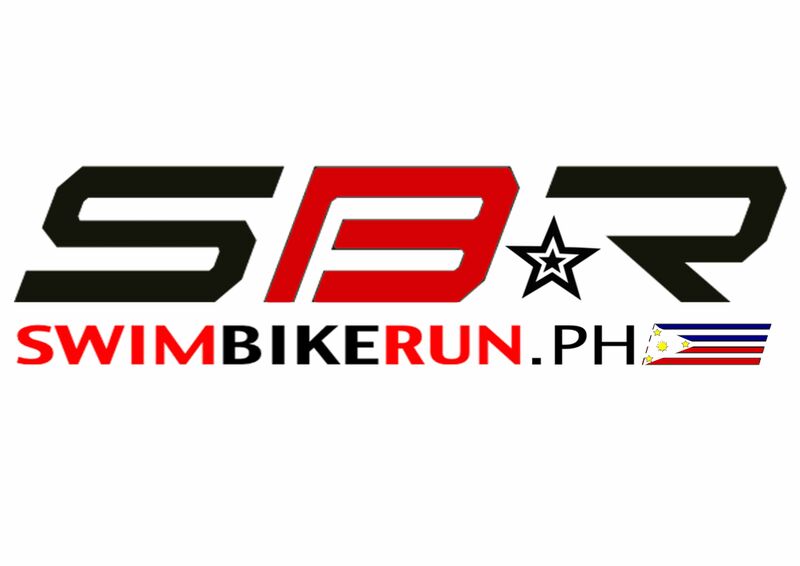 SWIMBIKERUN.ph will have its very own booth at the triathlon and fitness fair expo of the Animo Sprint Tri. Thank you to the organizers for giving us one! Charity work is something that’s very close to the heart of the SBR organization.. and to make sure we don’t waste the booth space, it’s the perfect time to launch SBR.ph’s first ever charity work of the year, the SBR Shoe Drive 2011! For this event, SBR.ph has chosen Tuloy Foundation to be its official beneficiary. First of all, why not? One look at their website and you will know that it’s a charity that already has a lot of history. They’ve been helping the less fortunate since 1993. Also, the thing that has led me to choose Tuloy Foundation is the fact that they have a really strong sports development program. Here’s what Tuloy Foundation’s Ayra Esmaquel has to say about it. “Tuloy’s existing football program complements its values formation. It has been an effective tool in improving the kids’ physical well-being, self-esteem, and behavioral and academic performances. Noting how effective it has become in the transformation of our resident clientele, Tuloy has started to go beyond its walls in enlisting participation to the program. In 2010, the football program was enhanced to benefit the children in neighboring slums who are not presently availing of Tuloy’s alternative education, as well as the children served by other charity organizations and public schools in MuntiParLas. Although football is the main sport here in Tuloy, we also have quite an accomplished touch rugby team. They also train regularly and like the football club, compete and do well in several tournaments throughout the year. As you can see, sports plays a very important role in the rehabilitation of the children here in Tuloy. Click here to view more info about Tuloy Foundation. Race. Because as we race, one way or another we will have a shoe that will wear out and we will stop using at some point. Also, everytime you join a race, you will be given a race singlet as a souvenir. Join 10+ races in a year, and you will have some singlets that for sure will just clog up your closet space. Give. Because we want to encourage everyone to give and donate their old used shoes and race singlets. Instead of letting them just gather dust. Inspire. Because not only do you give the less fortunate the tools to run and get active in sports, you will also inspire them to live a more positive life by engaging in a healthier lifestyle. We all know that the true meaning of giving is not expecting something in return, but as SBR.ph’s way of saying THANK YOU to everyone who will participate in this endeavor, all the donors will receive a special SBR.ph coupon that will make them eligible for these special deals courtesy of our friends in the multisport community. Timex Philippines – 15% discount on all watches worth 3k and above, single receipt purchase of a watch. This discount can be availed at all the participating Timex Outlets and Watch Republic shops in the Philippines. The Brick Multisport Store – everyone that will donate shoes will get 20% off on all regular priced running shoes. Crossfit Manila – all donors will be eligible for a FREE TRIAL of Crossfit. As well as 10% offthe membership price, should they sign up after the trial. The Starting Line Multisport Store – everyone who will donate will get 10% discount on new shoes. 720-Armour – all donors will get a 20% off on all 720 Armour eyewear. SLS3 Compression – all the kind hearted souls who will donate will get 20% off on all SLS3 Compression Products. K-Edge Chain Catchers – all coupon holders will get a 10% off on all K-Edge Chain Catchers. *All promos are valid up to two weeks only. *You MUST donate shoes in order to qualify for the SBR coupon. We will gladly accept singlets but that wont be enough to make you eligible for the SBR Coupon. Strictly no shoes/no coupon. 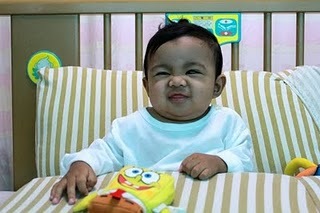 *Shoes must still be in good/usable condition.. and please clean them? *We will accept all SIZES of shoes. Don’t worry if it’s too big or too small. *For the 720-Armour, you must purchase the items at their main office at 201 Katipunan Avenue, Bgy. Milagrosa Quezon City. *For SLS3 Compression and K-Edge Chain Catchers, please contact igopenterprise@swimbikerun.ph if you want to avail of the discount. 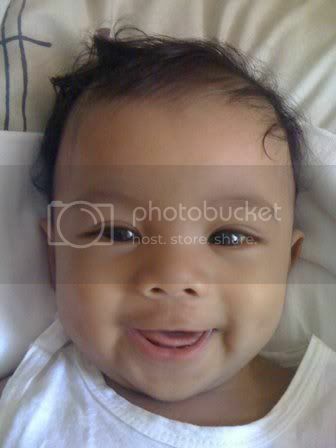 It’s been a while, but I just wanted to take the time to greet Job Tyrese a very happy and blessed first birthday! He would not have made it this far without the help of each and every one of you, so thank you and congratulations to all of you as well. I will post an update on the pledges soon as I am still in the process of collecting our final pledges. If you would still like to give last minute pledges, please do not hesitate to get in touch with me. WE DID IT!!! We ran for JoB! Our official count is 22 kilometers. It’s a bit shorter than what I was targetting for, but we really sprinted at the last second to hit that 22. THANK YOU to everyone who showed up at today’s run. We started at around 5pm with only 6 runners (including myself). Didn’t really expect much. I can’t remember what time people started coming in, but I remember one loop where I looked towards the “aid station” and there were so many bikes. All of them were there for JoB! I don’t have any photos with me at the moment, but I’ll definitely post them once I get them. I’d also like to thank the people who wanted to come, but couldn’t make it. I greatly appreciate the effort. Words will never be able to express my gratitude to all of you who helped save JoB. I hope you all realize that you didn’t JUST do a long run today. You saved a life! I have the most amazing friends. I love you all and God bless you! And now, the hard part – collection time. This is it! We are running for JoB in 1 hour. Stay tuned to this post for live updates. We’ll try to update you on the kilometers run by the hour. *4:15pm now in UP setting up. Almost time! *4:45 waiting for some forerunners! Posted by escapingalcatraztri in Countdown, Fundraising, Job, Liver transplant, Pledge, Run, Runners for Job, Running for Job, The Brick, The Starting Line. We’ve got four days to go till we run for JoB! Are you excited? I am! Below are the details for the run. Assembly time is at 4pm in the parking area of the College of Music in UP Diliman. You can look for a dark grey Altis with an SBR tarp on it. That will serve as our aid station. I am looking to start running by 4:30pm. If you arrive late, not to worry. You can wait by the car until the second round. Below is the route we will be taking. It is relatively flat and well lit at night to ensure security. The route starts from the College of Music and goes out University Ave. Turn around point is at the intersection of C. P. Garcia. Right turn at the Acad Oval. From there, we can either continue going around the Acad Oval or pass through the back, along Quirino Avenue before heading back to the Acad Oval. The longer route is approximately 3.7 kilometers, while the shorter route is 3.5 kilometers. 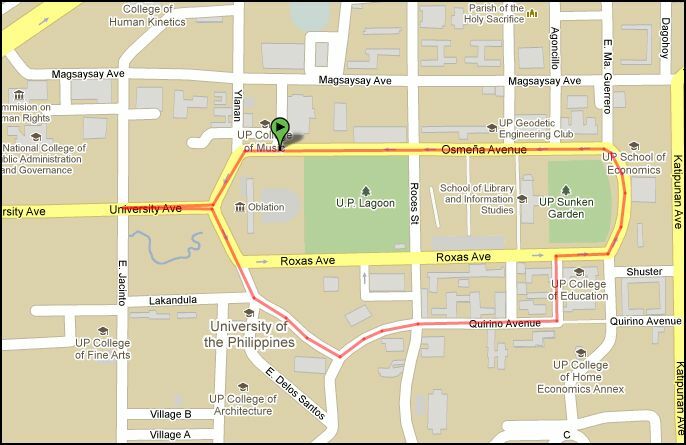 We will pass this route 5 or 6 times before we make our final loop along the Acad Oval. We have a number of volunteers who will be waiting by the car to hand out refreshments and a few gels. We’d like to thank The Brick Multisport Store and The Starting Line Multisport Store for donating some gels and powdered electrolyte drinks. We will also try to provide bananas to help against cramping. Stocks are very very limited, so we encourage everyone to provide for their own hydration. If you feel that you cannot go on, do not hesitate to break away from the pack. You can go back to the “aid station” and rest there. We are hoping that we won’t have any cramping issues as the run will be during the late afternoon/evening. Weather forecast for this week shows scattered thunderstorms. Tropical Storm Bebeng is out of the Philippine Area of Responsibility, but PAGASA is monitoring another weather disturbance set to hit the Philippine Area of Responsibility by Thursday. In any case, the run will continue as scheduled, rain or shine. Unless, of course, in extreme cases. We will also be selling Lifesaver shirts and baller ID’s at the “aid station”. For those of you who would like to purchase a shirt, it is being sold for Php 330. Ballers are at Php 50. If you have any more questions, please don’t hesitate to get in touch with me. Thank you very much and I hope to see you on Sunday! Just got hold of these pictures from Taiwan. Baby Job is recovering very well! He’s still in the ICU, but his color has been improving. His eyes are now white(!) and his stool color has been improving as well. In the meantime, Sweet is scheduled to check out of the hospital soon. They’re still going to have to complete the three-month stay to ensure full recovery, but things are looking great from here. 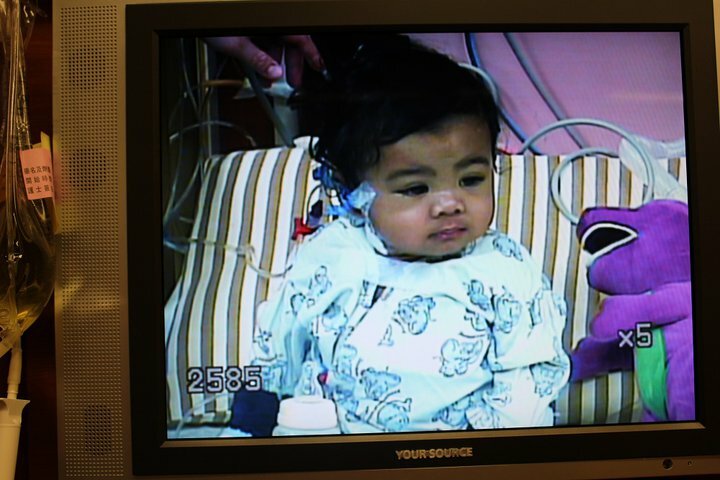 Thank you for all your prayers! Enjoy the picture slide show below! 7 days after the operation, Job's eyes are now white! Here’s something you might be interested in. This is perfect for people who have day jobs as the classes are during the night time. 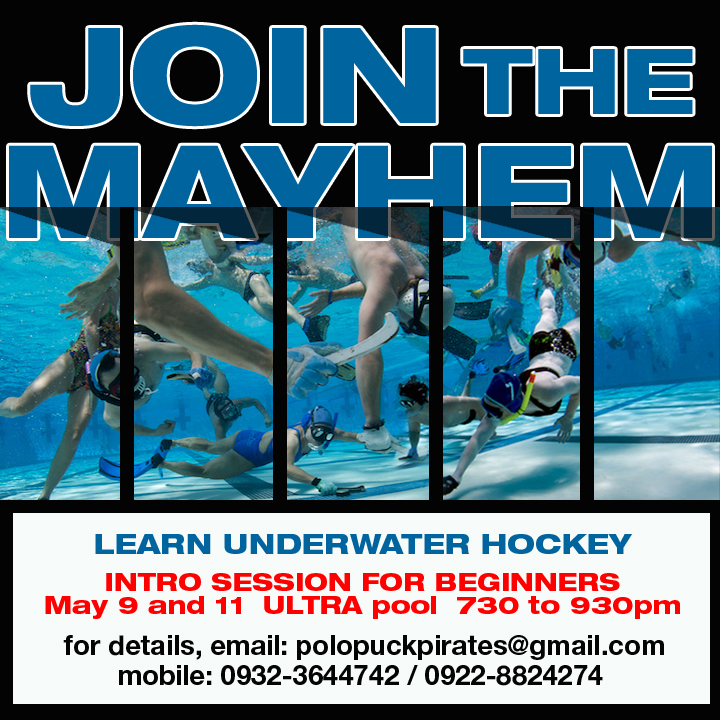 Underwater Hockey is a great stress buster and teaches a lot about teamwork. Posted by escapingalcatraztri in Bike, Countdown, Fundraising, Job, Run, Running for Job, Swim, Triathlon. It is finished! SUBIT is officially over and I’m proud to say that I finished the Olympic distance in one piece! My splits were horrible, but the experience was just WOW. And now that it’s over, I can finally concentrate on Running for Job. I can’t believe there are only 12 days left till we run for Job! I’ll try to upload more details in the coming days, including a map of the 5k route that we will be running.